We start off in the investigation where tension is boiling. Dae-gu continues to hint at his birth secret and Ji-il’s affections for Hwa-young years ago. Ae-yeon can’t take it anymore and gets up to leave the room upon the suggestion of her lawyer. Dae-gu takes this chance to pressure Ae-yeon into answering why she killed Hwa-young, if it was because she lost her husband’s heart to a mere nurse. In a fit of rage Ae-yeon confesses her involvement in the murder. Soo-sun comes in to handcuff Ae-yeon, and the team leads her away. Soo-sun watches Dae-gu and walks along with him across the street. Suddenly a bus goes by and blocks her view. After the bus leaves Soo-sun can’t find Dae-gu and rushes across the street. Dae-gu reappears from the corner and the two have a moment together. so many hugs in this show! At the Yoo household, Ji-il demands to know what happened to Ae-yeon, but Assemblyman Yoo insists that he focuses on the shareholder’s meeting. Ki-jae comes into the room and inquires after what they were discussing and Assemblyman Yoo just tells him to prepare to leave for America. In a corner of the hospital Tae-il quietly slips a letter in his father’s office door. He details his reasons for being a detective and his determination in finding the criminal. The moment Tae-il enters the hospital lobby Gook runs to greet him. At the house, it is Tae-il’s turn to enjoy being taken care of. The boys make a chart of the people involved in the Masan murder and decide they need to figure out who Detective Seo is. Dae-gu pulls out his phone and dials the number to the former Masan police. The ex-police tells Dae-gu that he already met with Pan-seok, and Chief Kang was the one he relayed the message to. Upon his return to the station, an angry Dae-gu overhears Pan-seok and Eun-dong discussing how to reveal to Dae-gu that Chief Kang is Detective Seo. Dae-gu confronts Pan-seok and suggests that they visit Hyung-chul to confirm Chief Kang’s involvement, but they arrive at the prison only to find out that Hyung-chul has past away. The warden informs them that it appears to be a suicide but they are still investigating the true cause. 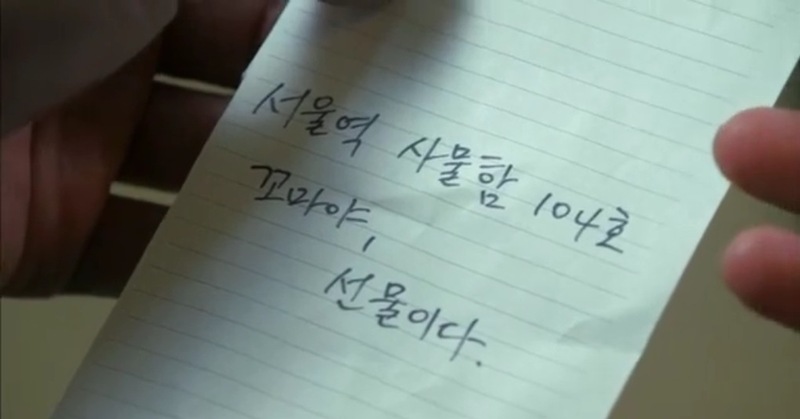 Despondent Pan-seok and Dae-gu come back to the police station to find a letter from Hyung-chul. Inside the envelop lay a note and a key to locker number 104 in Seoul Station. With Soo-sun, the three of them rush to the locker but find there is NOTHING in there! They head to the security room to watch the tape and sees a person dressed in black went by the locker before them. Soo-sun identifies the person as someone who bumped into her earlier. Elsewhere, Sa-kyung, Gook and Tae-il are investigating a kidnap. They arrive at the abandoned warehouse where the hostage is being kept. Tae-il takes a peek through the window and realizes the thugs are the same as those who attacked him before. The three of them enter the room and appears to have the situation under control. Just as another police comes in to bring the hostage to safety one of the thugs attacks Gook. Tae-il is distracted and drops his gun. Gook and Sa-kyung run out the warehouse to catch one of the thugs, leaving Tae-il alone with the other. Fortunately after a short fight both thugs were captured. Word gets to Assemblyman Yoo that the thugs confessed that Ae-yeon instructed them to attack Tae-il in order to steal the pendant, and he is beyond mad. Lawyer Kim explains that Ae-yeon’s original confession was not enough evidence to pin her down, but this new addition is going to make matters worse and she will probably be indicted immediately. Meanwhile at the station Dae-gu and Soo-sun are pulling an all nighter reviewing Seoul Station security tapes. Suddenly, Ji-il appears and requests to speak to Dae-gu separately. They go off to the conference for a brief conversation, during which Ji-il expresses his shock upon learning his wife’s involvement in the murder, and asks Dae-gu to submit to a paternity test. Dae-gu declines and explains his main reason for wanting to know if Ji-il is his father before was to figure out Ae-yeon’s motive for committing the murder, but he is no longer interested now because Ae-yeon already confessed. Ji-il says he wants to take responsibility if he is indeed the father, but Dae-gu replies that Ji-il really wants to take the paternity test so he does NOT have to take responsibility. Ouch, man. With that said, Dae-gu exits the scene and Ji-il shed some man tears alone. Soo-sun finds Dae-gu in the hallway and they have a brief conversation in which Dae-gu admits Ji-il is probably his father. He then quickly moves on to say he needs comforting. Soo-sun quietly sits by him the staircase and requests that he promise not to make fun of her for what she is about to do because she needs courage too. Dae-gu promises and she starts to unbutton his shirt. Startled Dae-gu tries to stop her, but she insists on continuing. After undoing the first few buttons she pulls out a criss crossed bandaid and gently puts it on him. She blows on his “wound” for a bit and tells him this is what her father used to do when she got hurt as a child. She asks if he feels better and he nods in response. Super cute! get your mind out of the gutters, dae-gu!!! Of course, Dae-gu must take this opportunity to tease Soo-sun. He asks her if she is embarrassed, and she says yes. He laughs and she laughs as well. The next morning Pan-seok receives a package from the prison with Hyung-chul’s belonging. Apparently they have completed the autopsy and identified the cause of death to be suicide for sure. Since Hyung-chul has no family they have decided to give his stuff to Pan-seok instead. so someone tell me, what’s with these shots in this episode?? From the items left behind Pan-seok finds a large envelope that was addressed to Hyung-chul. 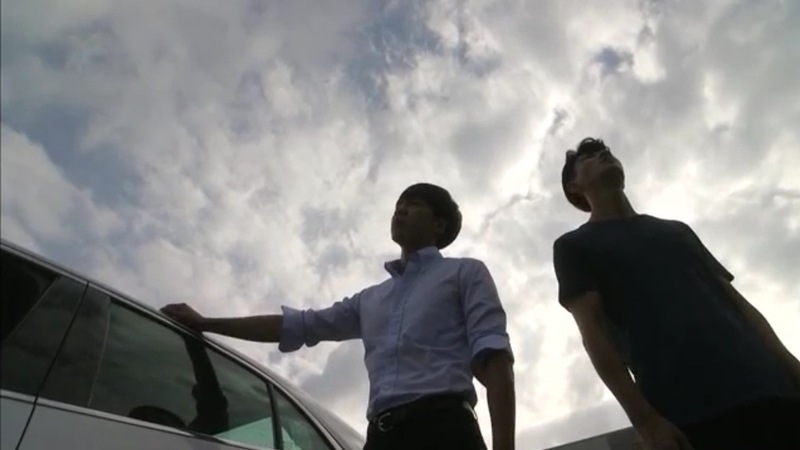 With Eun-dong they visit the sender to see if Hyung-chul had left any clues there. The sender says Hyung-chul came in a few months ago seeking work but did not work very long before being caught. 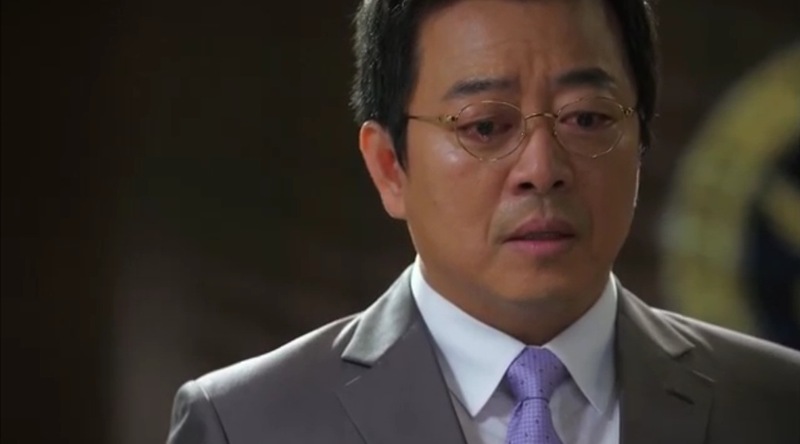 They inquire what was sent to Hyung-chul in prison and he replies just some books and food. No luck there. As they were leaving, Pan-seok notices a car with license plate S1SO 0723 parked outside. Do those numbers sound familiar to you? They do indeed to Pan-seok! He remembers the picture Hyung-chul left him had the numbers 0723 written on the back. 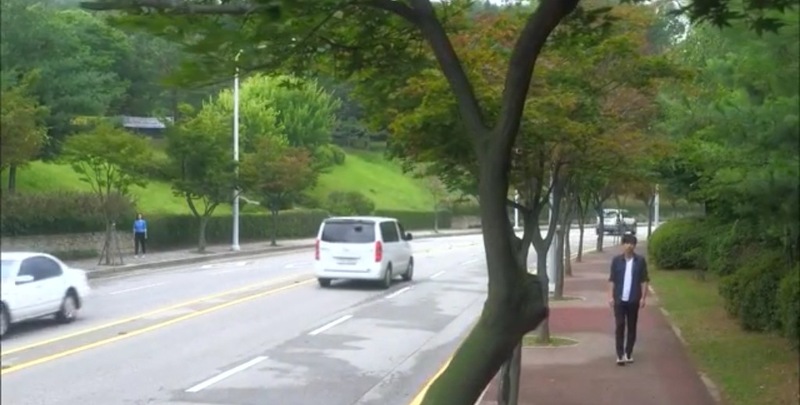 Pan-seok looks at the car again and finds what looks like a small video camera on the window. So Hyung-chul left them a trail after all! observant pan-seok finds hidden cam! Back at the police station, or more accurately, the women’s bathroom, Chief Kang walks past Soo-sun as she leaves. Since they were shoulder to shoulder, Soo-sun got a whiff of Chief Kang’s scent and concludes that it is the same as the person at Seoul Station. When Dae-gu goes to wash his face, Soo-sun quickly takes a zoomed in frontal picture of the person at the locker in the security video. 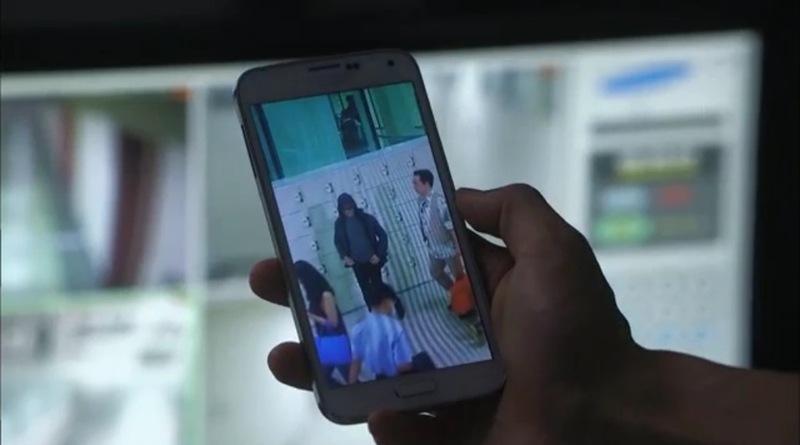 Later that night, she looks through the police station video, finds footage of Chief Kang with sunglasses on, which she compares to the picture she had taken earlier and confirms her suspicions. Just then Dae-gu enters the room and discovers what Soo-sun is doing. how can you tell that’s chief kang??? these peeps got some seriously good eyesight! A confused Dae-gu confronts Chief Kang in her office (man, do they ever go home?). She, of course, denies that she is Detective Seo and tries to blame Pan-seok for saying strange things. Dae-gu does not relent and pressures her to explain why she took the things Hyung-chul left behind. The silence confirms to Dae-gu that Chief Kang is definitely Detective Seo. He goes on to ask if she is the one who gave away his location for Hyung-chul to kill him 11 years ago, and all she could muster is a no and the weak explanation that she gave to Pan-seok before. She then pleads Dae-gu to wait for a little while longer so Assemblyman Yoo can secure the police independent investigation rights, after which she will pay for her crime. Dae-gu questions her motive for sponsoring him, and she tries to convince him that she does care for him, but he says she should have never revealed herself as his sponsor so he could at least believe her sincerity. Now at the Yoo household, Assemblyman Yoo is asking Ji-il to sign some document. Ji-il clearly does not want to, but Assemblyman Yoo declares there is no other solution and what happened to Ae-yeon is all Ji-il’s fault. Wow, like father like daughter. The next morning, Ki-jae finds Dae-gu in the park and confronts him about his birth secret. Dae-gu tries to dismiss Ki-jae, but instead of leaving, Ki-jae starts to pull on Dae-gu’s hair. The team runs in to separate the two and Ki-jae walks away. His real motive, however, was to secure a piece of Dae-gu’s hair as DNA sample. The prison releases Ae-yeon and she thinks she is getting off scott free thanks to her dad. Just then a medical van arrives to take her to the hospital. The head personnel shows Ae-yeon a consent form signed by both Ji-il and her dad. Looks like she is going to the psychiatric ward! daddy can’t save you this time! An angry Chief Kang storms into Assemblyman Yoo’s office and demands an explanation for why the independent investigation request is excluded from a special committee meeting agenda. He gives her a half hearted answer and she scoffs at the flimsiness of his efforts. He tells her that throwing tantrums will not work and in return she threatens him with the item she took from Hyung-chul’s locker. Immediately after Chief Kang leaves he calls someone and instructs him to carry out the plan. Unbeknownst to Chief Kang, Dae-gu and Soo-sun have been tailing her as she went to visit Assemblyman Yoo. They follow her out the parking garage and witness a large truck drive directly at her. Chief Kang’s car is completely totaled and she dies on the spot, but not before she apologizes to Dae-gu and tells him the recorder is in her room. 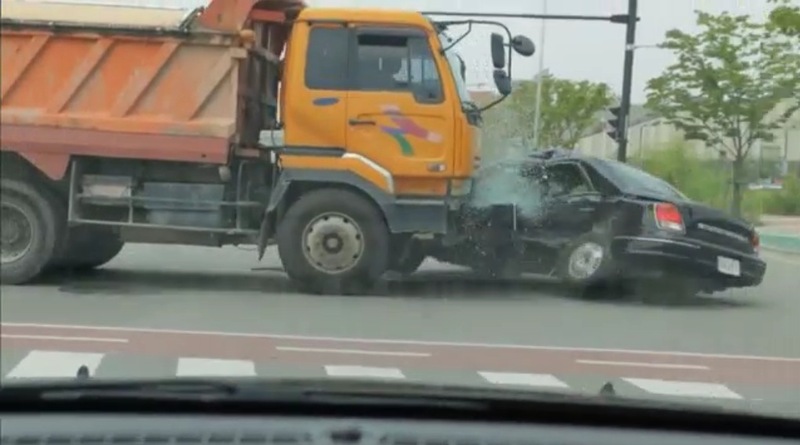 What I want to know is, where the heck is that truck driver?? ?